Our most popular whole-house primer. bleeding and nail head rusting. over alkyd or latex paints. Our premium acrylic Floor, Porch and Deck Enamel is a 100% acrylic formula that is urethane fortified for excellent durability. It provides excellent adhesion to multiple surfaces, is fast-drying and scuff resistant. Ideal for properly prepared, new or previously painted wood, metal, concrete basement floors, patios, breezeways, decks, steps, and porches. Our most advanced, longest lasting exterior acrylic coating provides ultimate durability. 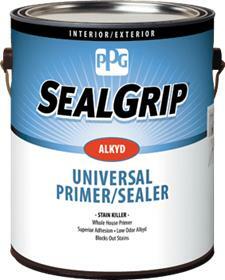 This universal, stain-blocking alkyd primer is excellent for bleeding woods and can be topcoated in as little as 4 hours. offers excellent adhesion to old, chalky surfaces and resists tannin bleeding and nail head rusting. 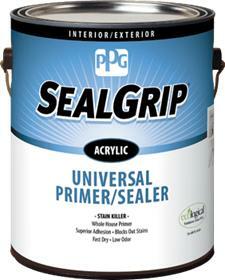 This fast-drying interior/exterior primer can be used on a variety of surfaces over alkyd or latex paints.